Stone Mountain is a 3,200 acre park centered around the world's largest exposed granite outcropping. 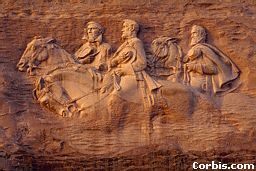 On the north side of the mountain is a Confederate carving of Jefferson Davis, Robert E. Lee and Stonewall Jackson. They look down on everyone entering the park. You can enjoy a sky lift ride 825 feet up the mountain or a five-mile train ride which circles the mountain by the lakeside. 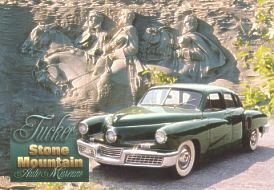 The Stone Mountain Antique Car and Treasure Museum, located within the park, offers a look at mostly 40's automobiles, but there is a wealth of other treasures within the museum walls. Our driver has started the Chevy, so let's head toward Georgia's capital city, Atlanta. 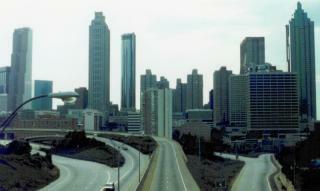 Present day Atlanta is a booming metropolis and home to millions of people. 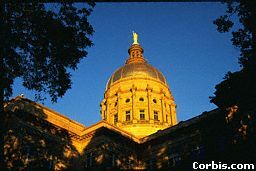 However, newcomers to the area tend to overlook the fact that Atlanta is a city with a rich, historical past and humble beginnings. 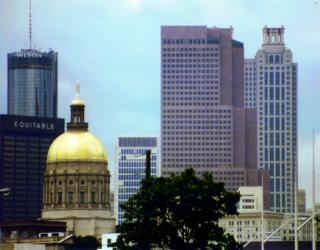 Atlanta started its life in 1837 as a small train station. The town (which barely qualified to be called one) changed its name to Atlanta in 1845, just prior to the beginning of the Civil War. 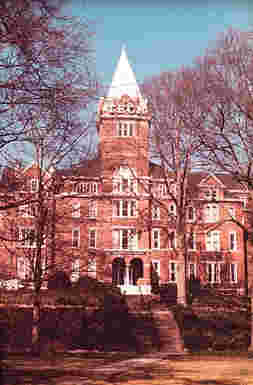 Unfortunately, before it could become much more, it was destroyed during the Civil War by Sherman's soldiers during the famous "March To The Sea." 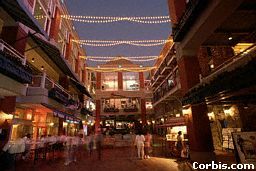 Underground Atlanta is a six-block complex containing shops, restaurants, night clubs and some hotels. 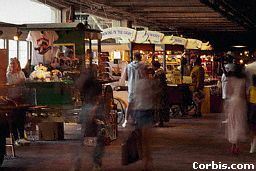 Underground Atlanta was originally formed when streets were raised to cover rail lines and what had been street level became "basement." Shop owners built new entrances from the main street. It is a favorite hangout for musicians and artists. 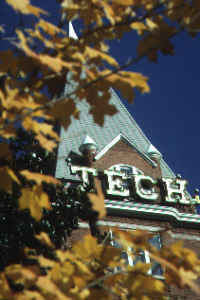 The first day of classes at Georgia Tech occurred in 1888, signifying the beginning of technological education and the transformation of the agrarian south. Tech's economic, scientific and technological leadership continues today. We mustn't forget, it's also the home of the Yellowjackets. Let's take a short run across town. 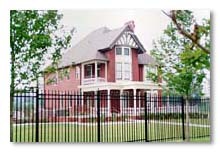 This is Margaret Mitchell's house, where she lived and wrote Gone With The Wind. Margaret was a native Atlantan and was a bit of a rebel for her era. 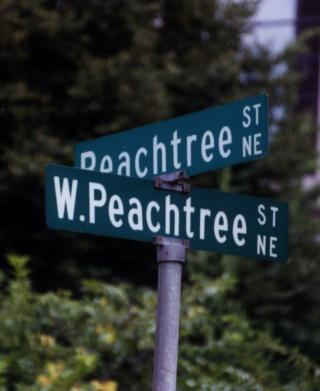 You'll see Peachtree signs everywhere - there's Peachtree Street, Road, Avenue, Circle, Loop, Lane...Georgia takes its peach trees seriously. 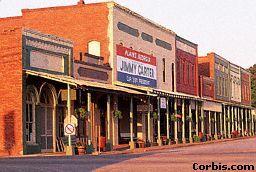 The small agricultural town of Plains, Georgia, became known for something other than growing peanuts when one of their most prominent citizens, Jimmy Carter, was elected 39th President of the United States. 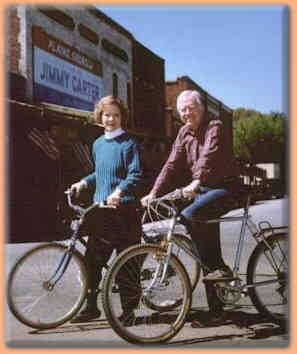 Here are Roslyn and Jimmy Carter in front of his campaign headquarters in downtown Plains. 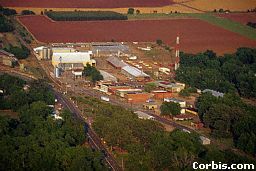 Plains' population of 653 became a beehive of activity with the press and tourists in the thousands crowding the downtown streets. We're going to leave and head across the state. Aren't we glad these old, heavier cars ride so well. It will be a comfortable trip. Click on the license plate and see where we wind up next.